Beautiful centerpieces. Elegant attendant attire. There are a million ways to set your elegant wedding apart—not the least of which is your menu. That’s why you need to take extra care to choose a variety of fantastic dishes for your wedding menu that score points in both presentation and flavor, such as these elegant wedding dishes. 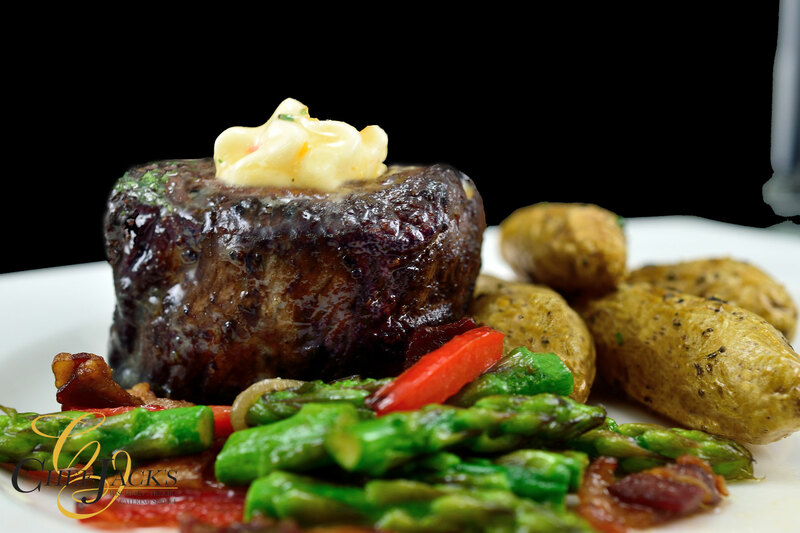 The filet is the quintessential elegant dish, suitable for any formal meal. Discuss with your caterer about your options to customize your main dish with a sauce that suits your—and your guests’—high end tastes. Don’t confine your vision of an elegant meal to a sit down meal. 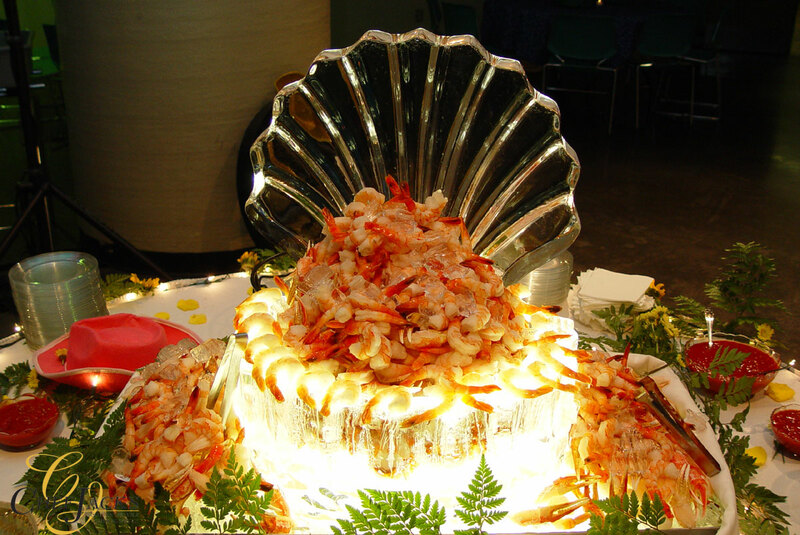 Wedding food stations are one of the trendiest dinner service options right now; our seafood food station packed with crab claws, jumbo shrimp, and smoked salmon is a prime reason why. 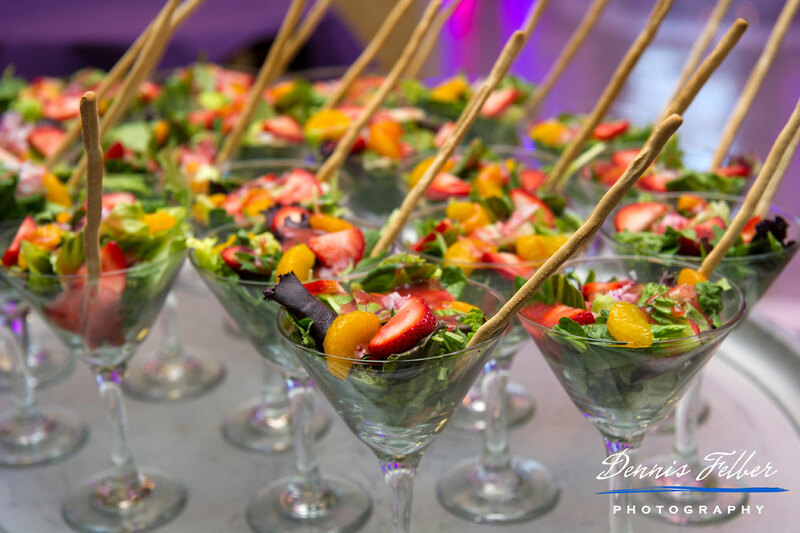 Your guests will love the elegant presentation, opportunity to mingle, and seafood options that suit any lake or waterfront wedding—or any elegant evening, really. If you want delectable and elegant, this dish fits the bill, with a seasoned breast of chicken topped with a savory blend of chopped basil, onions, red peppers, mushrooms, & prosciutto sautéed with chicken broth & white wine, mixed with Fontina Cheese. Meat and potato dishes can be just that, unless the service, flavor, and presentation are unique and at another level. 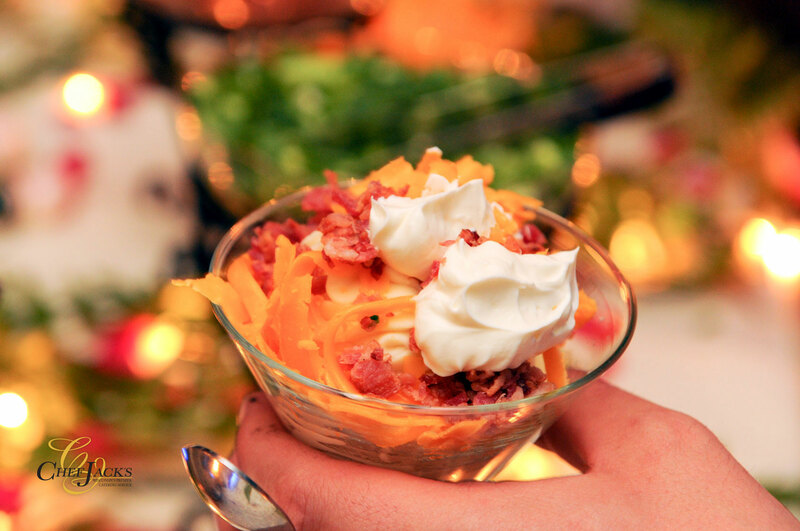 An elegant potato station with roasted garlic mashed and baby reds mashed with chopped bacon, shredded cheddar cheese, onions, sour cream, and gravy served in a martini glass delivers it all. 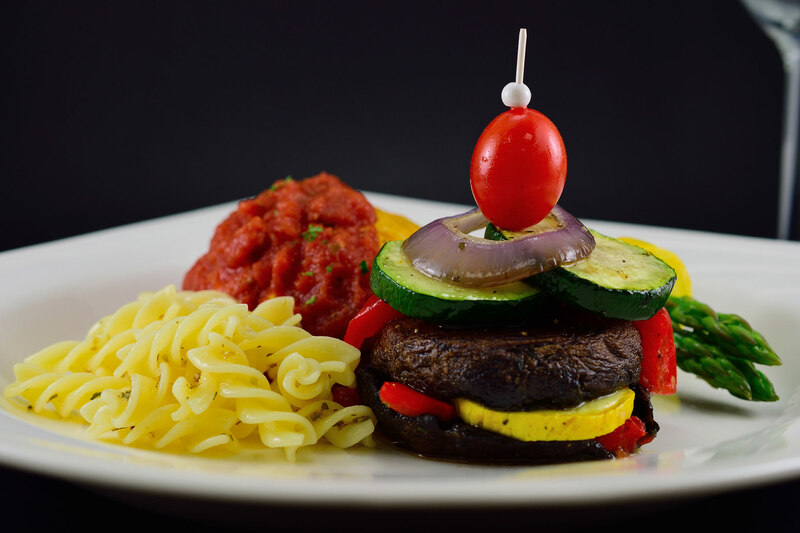 This elegant vegetarian option is paired with our grilled portobello steak mushroom and is a wonderful vegetarian option for your guests. 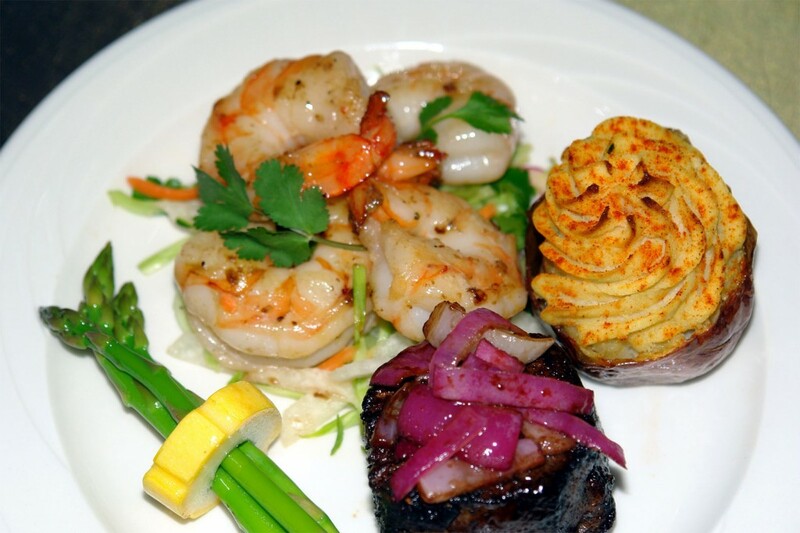 Serve this delicious dish with your sit down meal, or as a part of any of our menu styles. Nothing conjurs up images of Hollywood, celebration, and formality more than a glass of champagne. 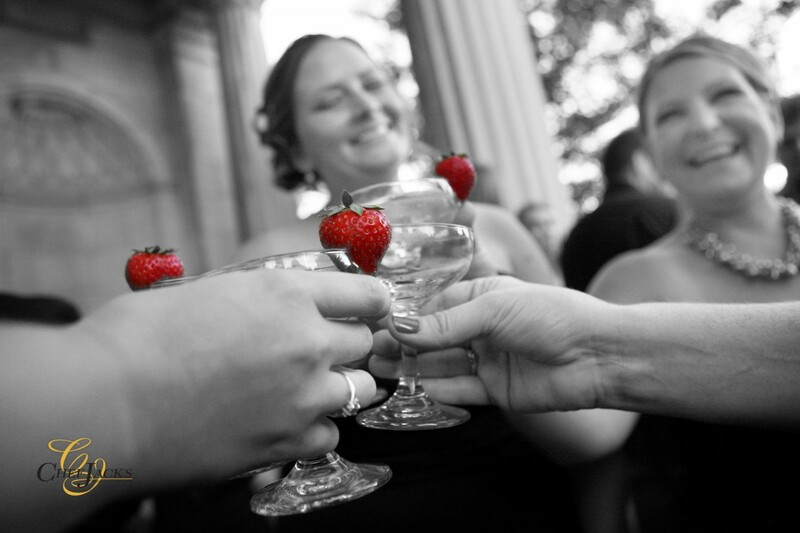 Give your celebratory wedding toast an elegant twist—and a beautiful presentation—like glasses of champagne with a flavorful fresh fruit. 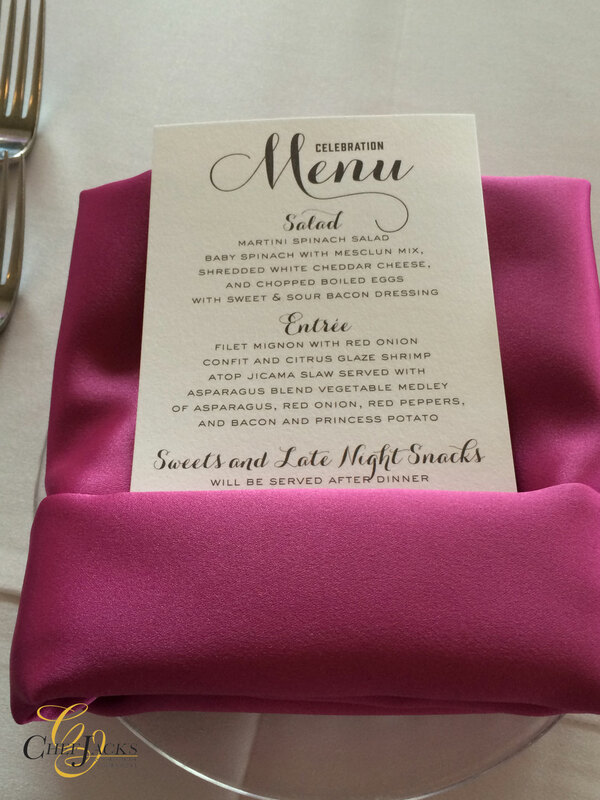 Don’t let your elegant wedding menu stop at your main and side dishes. 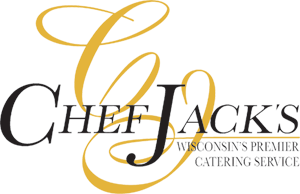 Contact a caterer with a dessert that makes your guests say “wow,” such as our Baked Orange Alaska. 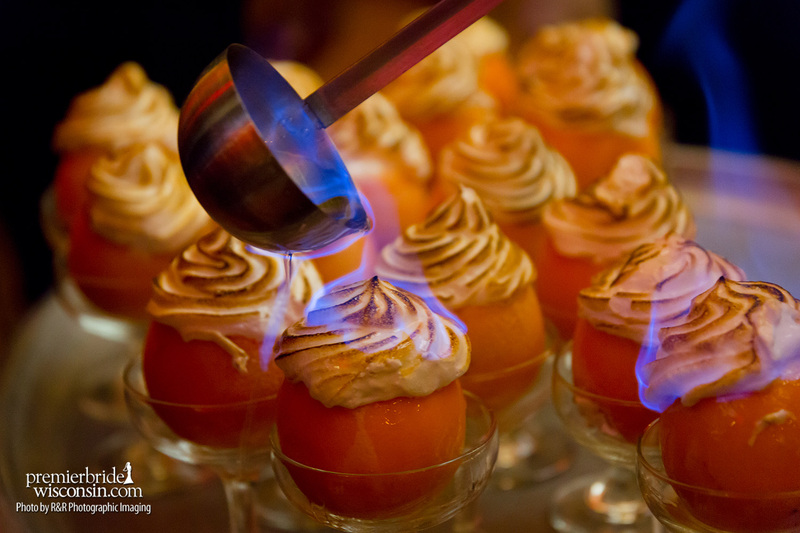 This exceptional dessert starts with a delicious Florida orange filled with French Vanilla ice cream, topped with meringue and flamed with brandy. Contact Us for more elegant wedding reception menu ideas.